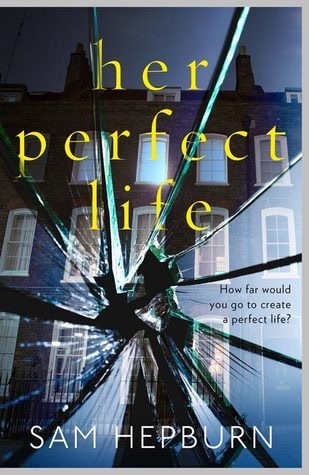 Her Perfect Life had many of the ingredients I look for in a good, solid psychological thriller but there was something missing for me, maybe some tension, or that feeling of confusion and disbelief was lacking, I’m not exactly sure. Sometimes I think it’s just really difficult for authors to capture that special something that makes a psychological thriller a real star. Let’s start with what worked for me. I liked the alternating point of views used, we hear from both Gracie and Juliet as they start an awkward friendship. There are also random diary entries from a young woman named Pauline and I enjoyed trying to figure out who she was and how she fit into the story. The big twist in the end was decent but not totally shocking and that’s always a disappointment. Several things bothered me about this one, but one of my biggest issues was that there were far too many loose ends left hanging and things that just didn’t fully make sense. There was something missing in the writing style as well, there was no easy flow, no sense of being addicted to the read that kept me flipping the pages at a fast pace. Speaking of pacing, things just felt disjointed, at times things moved very fast and at others it felt super slow moving, I would’ve liked the author to pick one or the other. Overall it was an ok read, nothing special and I think as soon as I finish writing this review I’ll forget most of the characters names. I’m not upset that I powered through and finished so I suppose I’m satisfied on some level, but I was definitely left wanting more. Darn that it was not good. I do like nice wrap-ups. Yeah that’s exactly it, totally average. Thank you! I will skip this one, Ive been feeling that way with some books lately and I really need unforgettable reads now! Yeah don’t bother with it. Not very memorable huh 😦 Oh well. I guess it is a good thing that there are plenty more! I couldn’t even finish this book so didn’t review but absolutely agree with you in this one!! Yeah it was a bit of a bummer but I guess you can’t win them all. Hate books were things gets predictable , plus Loose ends don’t really make up for a good suspense book . No they don’t, I hate still having questions in the end!